Over the weekend I watched Patty do some gardening, and then I watched Danielle do some gardening. 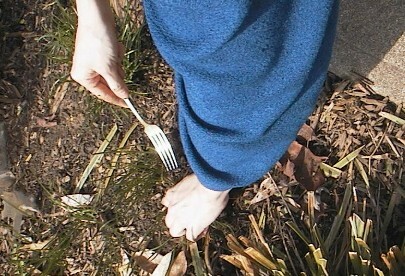 (Pictured above is Danielle removing weeds with a fork.) Today I played tennis with Valerie. Feelin' a little more balanced now.